A University of Aberdeen student is working with whisky producer Chivas Brothers as part of a research project aimed at combating the effects of climate change on distillery water resources. Jessica Fennell, a PhD student at the University, will work with the firm to identify natural solutions to reduce and manage the impact of water scarcity and rising water temperatures during prolonged warm and dry periods. The Scotch whisky industry critically depends on a sustainable and good quality water supply - pure Scottish mineral water is one of three ingredients used in the malting, mashing and cooling processes and also when diluting the spirit to reduce its alcoholic strength to the desired level. It is hoped that through the research, Jessica and Chivas Brothers’ environmental and sustainability team will identify solutions to preserve this key ingredient to the benefit of the entire Scotch whisky industry. 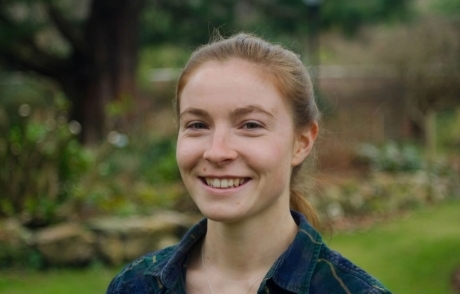 Throughout the project, Jessica will split her time between the University and The Glenlivet distillery in Moray, where she will complete field research on the water catchment areas and undertake research and development of hydrological models. This will help to identify the best locations for nature based solutions such as ponds or wetlands for infiltration, or tree planting for shading to manage water flow and temperatures for distilleries. Jessica said: “I’m really looking forward to starting this PhD project. I’ve always considered myself as being environmentally conscious and believe it is vital for both researchers and those in the industry to work hand in hand to ensure we make good progress in safeguarding important resources, such as water, for the future. “By working in the field at The Glenlivet distillery, I will be able to really understand how the water catchment works, and hopefully identify the steps distilleries may need to take to make sure they have enough cold water to continue production long into the future. Gordon Buist, Production Director at Chivas Brothers, added: “Jessica’s appointment marks an important step forward in pioneering this important research. During the project, Jessica will work alongside our experienced environmental and sustainability team to identify and test the effectiveness of novel solutions to manage water flow. In April 2017, Chivas Brothers along with the University of Aberdeen and James Hutton Institute, started the quest to find a suitable student to advance this important research. Out of 40 applications, Jessica was chosen after impressing the team with her extensive knowledge, experience and passion for environmental sustainability. Chivas Brothers is providing £4,000 in grant funding to support the four-year Natural Environment Research Council (NERC) industrial studentship. Chivas Brothers has marked water management as one of its strategic focuses within its environmental policy. This is in line with the vision of its parent company, Pernod Ricard, which has been a member of the United Nations CEO Water Mandate since 2010 reinforcing its commitment to the protection of the planet’s water resources.